Trucking invoices include all details to help you bill and collect from your customers. 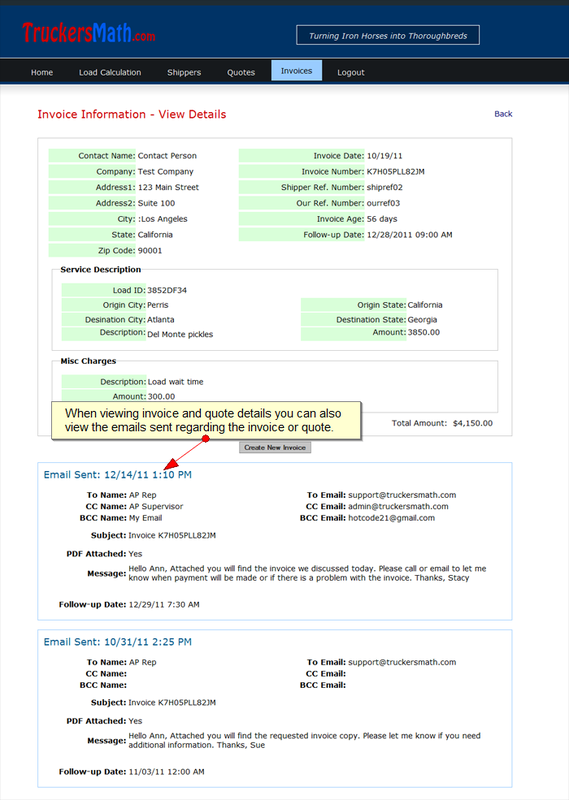 Below is a invoice view which lets you know what kind of invoice data is captured. When creating invoices simply select a company and all billing information is completed for you. Invoice age and invoice follow up date are readily available. Invoices accept service description which includes transport information and miscellaneous charge information. Prior communications with the customer about an invoice are listed below the invoice details. Invoices can be emailed as a PDF document to your customer when created and/or edited. Service/transport information can include multiple transport legs. Invoice listings focus on displaying information that is necessary to know where you’re at with a customer at a glance. Our invoice listing features sortable column headers that allow you to sort listing data based on invoice date, follow-up date, invoice ID, shipper name, phone number or amount. 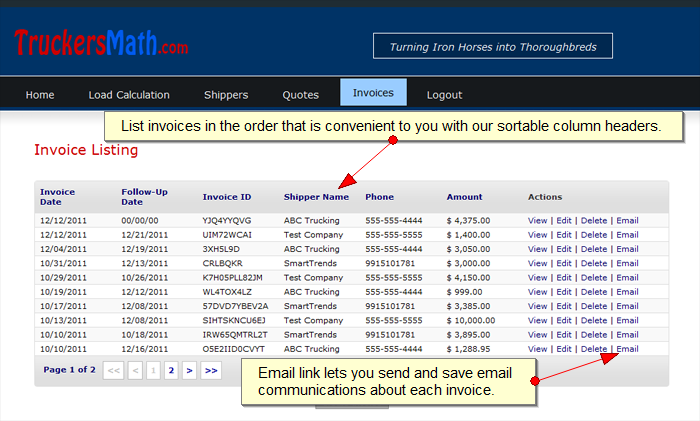 Simply click the email link to contact a customer about an invoice and send a PDF copy of the invoice with your email.